Sometimes stereotypes have some truth to them. 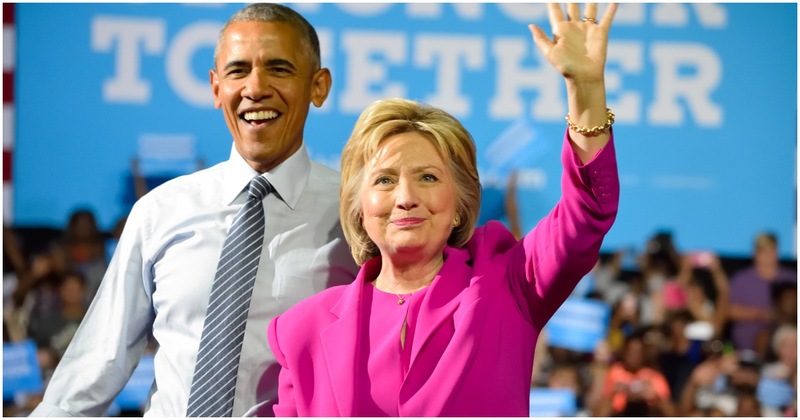 The latest to be proven true is one that was used almost daily during the presidency of Barack Obama, Chicago-style politics, in other words, corrupt political bullies. True to their reputation, the city of Chicago, whose Mayor Rahm Emanuel was Obama’s chief of staff and has been run by Democrats since 1931, has been named the most corrupt city in America. The home of deep dish pizza received the recognition based on a report published by the University of Illinois, Chicago. Now before you start screaming that the city only got the recognition because it’s the city that hosts the University, take a look at the section of the report below, and you will see that Chicago earned the recognition. 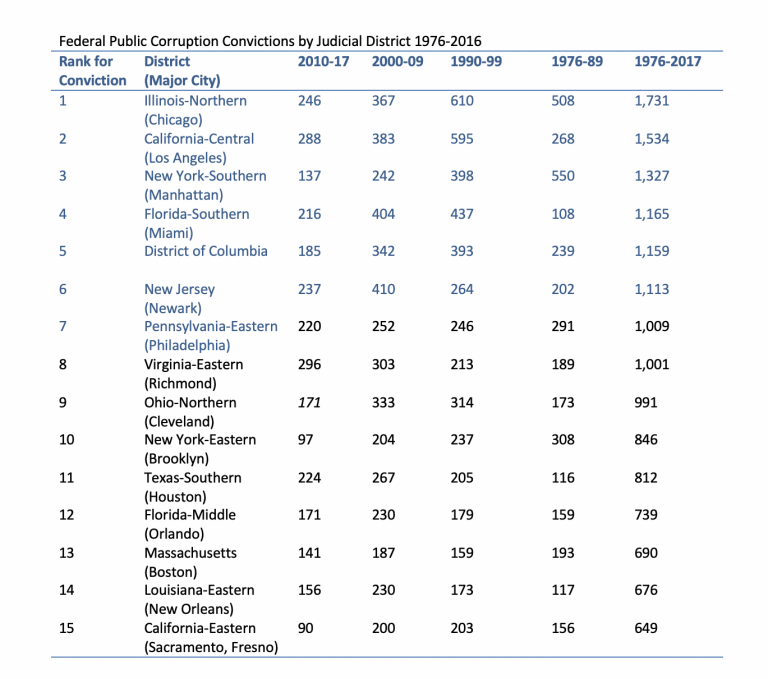 The number of federal convictions for public corruption in the “stinky onion” metropolis has declined recently but over the long haul Chicago continues to be the most corrupt big cities in the nation. 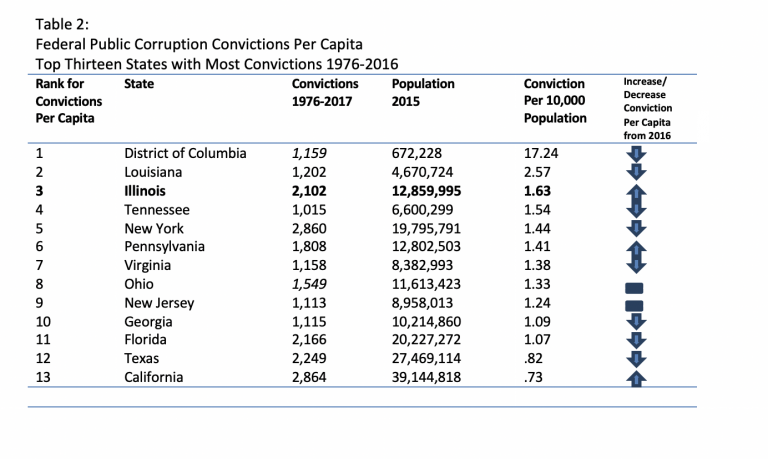 Additionally, Illinois remains the third most corrupt state when compared on a per capita basis to other large states and the District of Columbia [DC was #1, and Louisiana was #2]. Uh-oh, Chicago better be careful or they may lose their crown. NY Mayor DeBlasio was accused of taking bribes by an informant in a Nassau County corruption trial, but so far the feds haven’t charged him with anything. 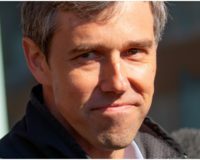 Barack Obama must be so proud of Rahm Emanual, after all, New York can no longer say Chicago is the second city, at least in the area of corruption. Are Chicago residents ready to put Rahm out of their misery?